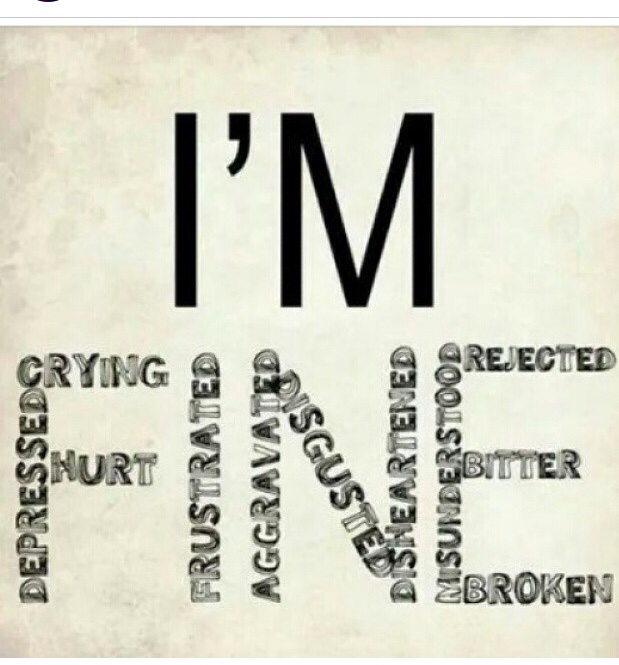 How many of us know the statement “I’m Fine” all to well? Without hesitation I can say, I do! When you say it, how many of us are ACTUALLY fine? I know that at least 95% of the time when I say the words “I’m Fine” I am surely NOT fine. Then why do we say it? Many have reasons I will not claim to know but let me explain mine. Having a chronic illness becomes routine to us Spoonies. I say routine in the most comical of ways. The never ending stretch of doctors visits, medications, side effects, pain, surprise events of the most random things your body does. When you have a chronic illness, it becomes apparent very quickly that you have to deal with any misgivings you have in order to help your family and friends to deal. It is a sad truth, but you have to be come Dr. House and a therapist for those around you. You would think that you are the one with the illness but if someone loves you they take everything that you are going through just as personal. Sometimes I can not deal with others emotions because I am just too busy dealing with my own. As selfish as that sounds to someone like myself, it is the truth and it is OKAY! So some days, when someone that loves me ask’s “How are you doing today?” I say, I’m Fine. I’m not necessarily saying it because I don’t want them to know whats going on, but I am tired. If I told everyone the truth every time they asked me how I was doing, trust me it would get old. There is not one day that goes by that I don’t feel some kind of something going on with my body. 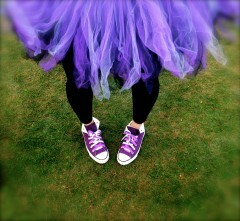 There is not one day that goes by that I don’t know that I have an illness. So some day’s I like to say I’m Fine for ME! Hey, I’m FINE my people! I am alive, I am breathing, and I am mobile. I won’t sit here and manipulate the situation and state that I have never used i’m fine to get someone out of my face. I also will not say that I have never used it as a defense mechanism, because quite frankly I HAVE! Have I mentioned that I am human? All in all though, saying the words i’m fine steam from many different reasons both good and bad. Unless you have a chronic illness you may not understand this. If you love someone with chronic illness this may make you mad, because you want to know the truth. Understand this, chronic illness is no laughing matter. Some days the shear thought of getting out of bed is brutal. Unless you understand that statement to the core, do not judge. Some days we just want to think we are fine, some days we don’t have time to answer 100 questions or take advice that was not asked for, and some days we use it as a defense tool to keep out everyone while we deal with our own misgivings and pain. Remember just because we look “Fine” on the outside, does not mean we are. We are all in fact still human. Love you my fellow spoonies! I totally get this. You crystalized it perfectly. I was diagnosed with Lupus this past summer though doctors think I’ve had it long before the diagnosis. “I’m fine” is my standard answer. It’s nice to know I’m not the only one who feels just this way. I have a feeling we are not alone in this :). Welcome to the family. After being diagnosed and learning more, I started to realize that my illness came far before my diagnosis. Although, this is not always the case. Thank you for taking the time to read!